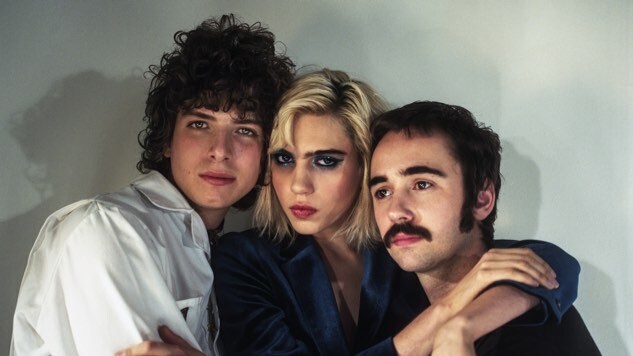 Listen to Sunflower Bean's Starry-Eyed New Single, "Twentytwo"
Sunflower Bean’s much-anticipated second effort is due out on March 23 via Mom + Pop, and today the New York indie trio have shared the pseudo-title track from their new record. Previous singles from Sunflower Bean’s forthcoming LP include the urgent, upbeat “Crisis Fest” and the blissfully liberating “I Was a Fool.” In our 2016 Best of What’s Next write-up on the band, we hailed them as a “band of youths who are looking to the past, present and future for inspiration”—all early indications suggest that will hold true on their new record. We’re just bummed we have to wait another month for it. Sunflower Bean will support their new album on tour starting in March, with dates in the U.S., U.K. and Europe set through July. The band will play a particularly special hometown show at New York City’s Bowery Ballroom on April 26, where they’ll perform Twentytwo in Blue in its entirety. News of their tour expansion broke on Wednesday—find their full slate and see when they’re headed to a city near you right here, and get your tickets here. Listen to “Twentytwo” below, along with the band’s 2016 Daytrotter Session, and revisit the details of Twentytwo in Blue here.